How much soil moisture does a summer crop need? “Planting later increases the length of fallow allowing time to store water in the soil before planting but it has other flow on effects such as reducing options for double crops and reducing fallow length for the next crop. These issues must be considered from a whole of farm management perspective,” he said. How much water does a summer crop really need? 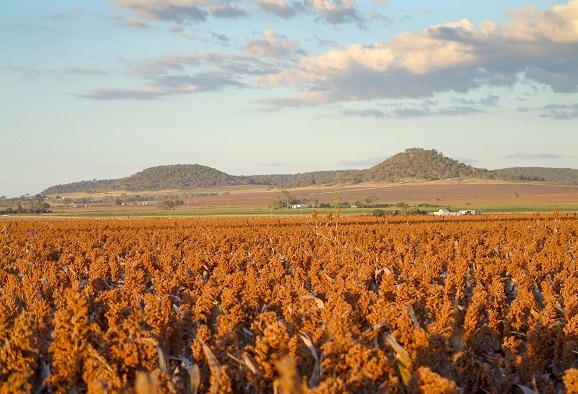 For example, approximately 166 millimetres of water is required to grow a tonne of sorghum in the Condamine region of south west Queensland. Dr Whish said around 100mm of this water would be used to establish the plant or lost as evaporation while the remaining 66mm will be used to produce grain at an average of 15 kilograms per mm. Dr Whish said calculating potential crop yields based on total rainfall and soil water works as a simple estimate and guide for planting decisions, with the impact of rainfall timing on crop productivity able to be better gauged by sophisticated modelling tools such as APSIM and Yield Prophet. 2400 (kg/ha) divided by 15 = 160 mm of water for grain + 100 mm for establishment and evaporation = 260 mm. Therefore, the total water requirement is 260mm. “If the current amount of water stored in the soil is 100mm (approx. 60cm wet soil by push probe) then 160mm needs to fall during the crop growing period. 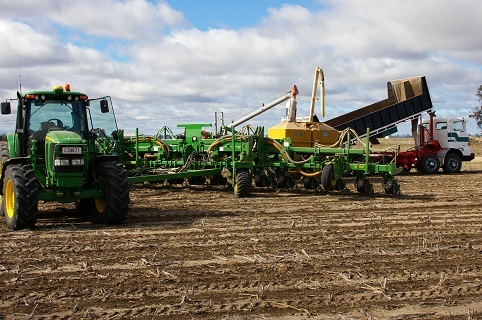 As a rough guide for a November planting at Condamine, the average rainfall during the growing season would be around 244mm and there is an 80 per cent chance of getting at least 158mm,” Dr Whish said. 3000 (kg/ha) divided by 15 = 200 mm of water for grain + 100 mm for establishment and evaporation = 300 mm. Therefore, the total water requirement is 300mm. “I have been conservative presenting an 80 per cent probability. 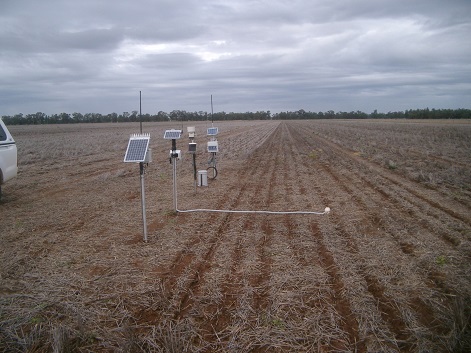 Every season is unique and the use of the SOI combined with long season forecasts can help assess the risk while different planting strategies, row configuration or stagged sowing dates, can be used to offset risk,” Dr Whish said. Stored soil water can be measured while in-crop rainfall can only be estimated based on probabilities and historical climate data. Summer crop planting decisions should be based on what is known. Risk can be reduced by setting profitable crop yield targets, calculating the amount of water needed to achieve these yield targets and assessing that against available stored soil moisture and the probability of receiving additional moisture through in-crop rainfall.